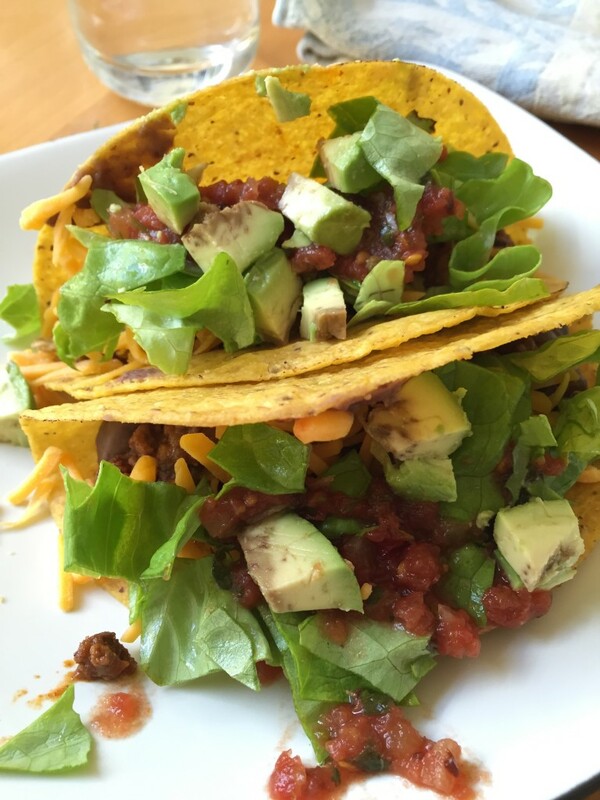 Tacos have long been a weeknight staple in our house. This particular recipe is from an old Cook’s Illustrated – I ended up taping that issue back together because there were so many good recipes in it that we used just infrequently enough that I didn’t memorize them. But I memorized this one. Easily. Saute the onion in the vegetable oil. Add all the spices, stir till fragrant. Add beef, breaking up into pieces until it’s no longer pink. Then add stock, sauce, sugar, and vinegar. Bring to boil, then simmer for 10 minutes, stirring occasionally. Serve with whichever toppings you want.